TPB Back Issue Classics Episode 60 is here! Mike and Steve take a look at the Reboot... Rebirth #1 one shot, that realigns the DC Universes! This dynamic duo go through issue #1 of DC's Rebirth! and spoil some stuff! We talk about time travelin' Flash, Wally West returns, Batman says what, and more! 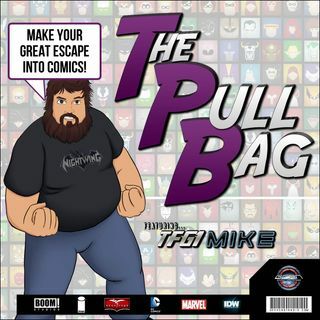 So grab some snacks, and listen in as we kick off the DC Rebirth Talk here inside The Pull Bag! Join us next month for several eps reviewing specific DC Rebirth titles!